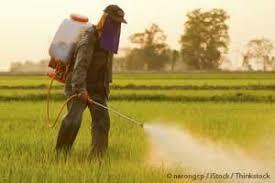 The insecticide Glyphosate is a catalyst for heavy metal poisoning of blood and pineal gland function. Today, the pineal gland is assaulted chemically. It may be stopped from producing hormones that are needed for sleep, mental clarity, intuition, and communication with others. Some of the toxins that can damage the pineal gland are heavy metals like mercury and aluminium, which are found in several vaccinations used on babies and young children. Other toxins like glyphosate (Roundup) can indirectly poison the pineal gland. Glyphosate is the number one herbicide used on our crops today in most countries. Glyphosate disrupts the pathway of the good bacteria species living symbiotically in our gut. By eating food, fruit and vegetables sprayed with glyphosate, we destroy the good bacteria, causing gut dysbiosis or microbial imbalance, allowing for greater uptake of heavy metals into the blood. When glyphosate depletes good bacteria in the gut, the gut wall becomes leaky, allowing heavy metals like mercury and aluminium to infiltrate the blood more readily. Glyphosate can act like a catalyst for heavy metal poisoning of the blood, organs, the pineal gland (not protected by the blood-brain barrier). Research suggests that glyphosate disrupts gut bacteria, leading to an overgrowth of Clostridium difficile, which produces p-cresol, a precursor linked to autism. P-Cresol can boost the uptake of aluminium into the blood via transferrin. Transferrin synthesis is then increased in the pineal gland. Melatonin metabolism is also destroyed by glyphosate and aluminium through the destruction of the important cytochrome P450 enzymes.